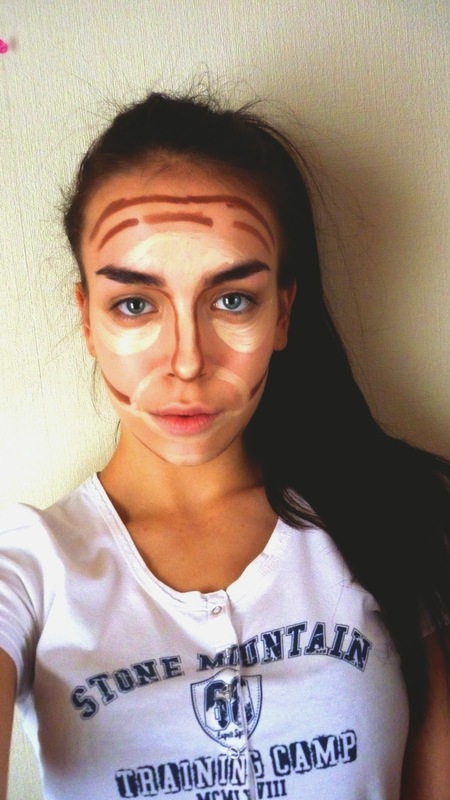 Every girl has her own technique of face contouring because we all have different face shape... a person with square face shape cannot use oval face contouring technique. So I found suitable technique for me, super easy and makes my face proportional and "clean" looking. I use contouring palette where I have 15 different shades of creamy concealers. When I'm done with contouring I apply a little bit white powder all over my face to hide oily spots. Add a little bit of bronzer on my cheekbones and pin blush on cheeks.